Responding to the threat posed by US cruise missiles, which could be launched from sites in Eastern Europe, Russia will be forced to deploy its own ballistic missiles in its westernmost region, the head of the Russian Senate Defense Committee warned. “One of the reasons why Russia opposed the deployment of the American ABM [anti-ballistic missile] system in Europe was the concern that this infrastructure may be quickly converted to deploy strike systems, in particular land-based cruise missiles. These concerns are being confirmed today,” Senator Viktor Ozerov, who chairs the upper house’s Defense and Security Committee, told Ria Novosi. The Russian lawmaker was referring to interceptor missile launchers deployed in Poland and Romania, which Washington insists are needed to protect Europe from a rocket attack. The vertical-launch systems are the same used on American missile cruisers to fire Tomahawk missiles. The US and Russia are both banned from having or even developing ground-based missiles with the range similar to Tomahawks by the INF Treaty signed in the late 1980s. But naval missiles are not subject to the document. Moscow says that in the event of a crisis, the US may use the ABM sites to fire Tomahawks at Russian territory. “In response to that we will be forced to beef up our air and space defense system in that direction, deploy additional forces to defend our military facilities and command centers. This includes the deployment of S-400 and Iskander systems in Kaliningrad, and the formation of new units in the Western and Southern military districts. In addition to mechanized and tank components those divisions would have units dedicated to air and space defense,” Ozerov said. The S-400 is a long-range anti-missile system used to protect strategic sites like large cities or ICBM silos from airstrikes. 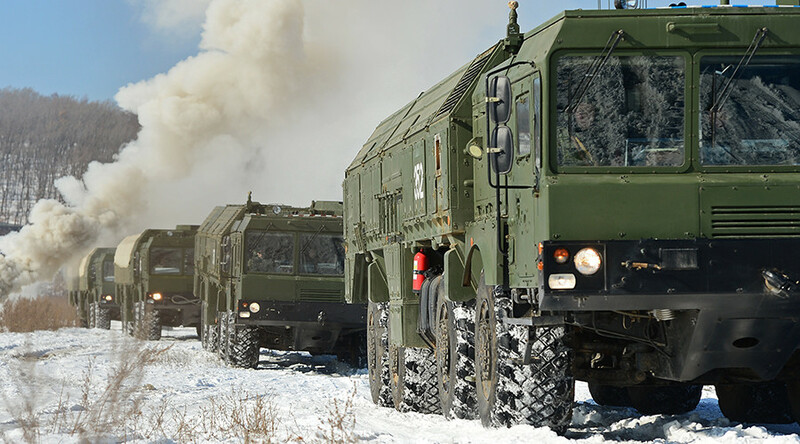 The Iskander is a tactical missile system capable of firing either ballistic or cruise missiles, including those carrying nuclear warheads. The Iskander system’s range is enough to reach the controversial US ABM sites. Ozerov added that Russia is developing new surface-to-air and air-to-surface missiles capable of piercing American missile shields. “It’s a dual task of overcoming the air defense systems and defending ourselves from a potential strike,” he explained. US State Department spokesman John Kirby said that the deployment of S-400 and Iskander missiles to Kaliningrad was unnecessary and “destabilizing” to European security. 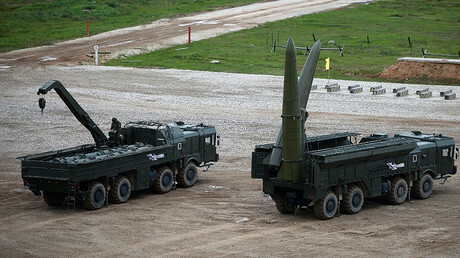 "Russia has made threats to move its Iskander missiles to Kaliningrad for the past decade in response to a variety of developments in Europe, none of which demand such a military response," Kirby was cited as saying by Reuters. "We call on Russia to refrain from words or deeds that are inconsistent with the goal of promoting security and stability," he added.